BEIJING (Reuters) - China acted for the first time this year to steady its stumbling economy by cutting taxes for small firms on Wednesday and announcing plans to speed up the construction of railway lines. The Chinese cabinet said after its weekly meeting that it will accelerate the construction of rail projects that have been approved, and increase the total length of lines being laid this year by 18 percent compared to 2013. The government also said it would lower tax rates for smaller companies by relaxing the criteria that allows them to halve their income taxes. This policy will be extended to the end of 2016, the government said. The measures mark the first concrete action being taken by China this year to boost its economy, and come after Premier Li Keqiang last week sought to reassure jittery markets that Beijing was ready to provide support. Flagging growth has unnerved global investors and fuelled speculation about a modest stimulus package to boost activity. Two surveys of China's vast manufacturing sector showed this week that factories faced persistent headwinds in March, raising fears that the economy may be cooling much faster than thought. "We will find innovative ways including fiscal and financial methods to...steady economic growth," the cabinet said in a statement on the government's website. 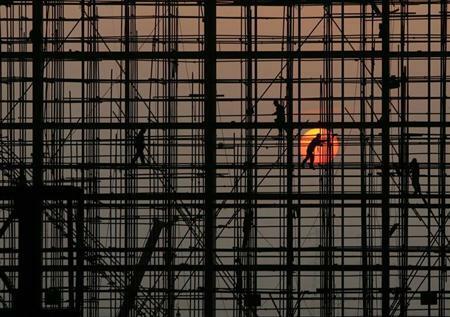 The Chinese government said in March that it aims to grow the economy by around 7.5 percent this year, and a minority of analysts believe growth will ultimately fall short of 7.5 percent. Increased construction of railway lines will foster investment, the biggest driver of China's economy, and which is rising at its slowest rate in at least a decade as the country moves towards consumption-driven growth. The railway investment will be partly financed by bank loans, the government said. Authorities will also create an annual fund worth 200 billion yuan ($32.2 billion) to 300 billion yuan each year that is open to private investors. For this year, the government will also sell 150 billion yuan worth of bonds to pay for over 6,600 kilometers of new railway track. Railway projects in China gained infamy in recent years for their rife corruption and heavy debt load - problems that culminated in a series of corruption scandals at the Ministry of Railways that led to its dissolving in March 2013. Projects are now overseen by China Railway Corp, which won approval on Tuesday to sell 150 billion yuan worth of bonds, according to two sources with direct knowledge of the matter.